Are you tired of digging around for your important papers and favorite pens? Seatsack has fabulous organizers for home, office, and school that will make your life easier. I received three of their best-selling products to try out for myself...the File-n-Save Sack, the Strap-n-Sack, and the original SeatSack. Strap-n-Sack is a pencil pouch that slides onto the front of a binder or notebook. It has a stretchy strap and two large zippered pockets to hold school supplies or office supplies. It's a wonderful solution for school-age students and college students who are constantly toting around pens, pencils, calculators, student id's, and more. There's even enough room for between-class snacks. The original SeatSack is designed to hang over the back of a chair. It's perfect for classrooms and even comes with a name-card slot. This sturdy bag can hold books, papers, school supplies, and art supplies. It comes in a variety of colors and sizes too. There are even several different styles of SeatSack so you can choose the right one for you or your student. Keep your desk organized and free of clutter! The Black Leatherette File-n-Save Sack is my favorite product of all. It fits over the edge of most file or cabinet drawers and it's been a huge organizational help to me. I've been sticking all my "to be filed" papers in one slot, my "must have handy" papers in another slot, and my address book and favorite pens in the smaller pockets. SeatSack has lots of great organizational products as well as educational products. Check out their site at www.seatsack.com and follow them on Facebook and Twitter. Then enter below to win your own File-n-Save Sack to get your desk cleared off and your papers in order! Win a Black Leatherette File-n-Save Sack! To enter, just fill in the Rafflecopter form below. You must be at least 18 years old and reside in the USA. Only the first entry is mandatory; bonus entries increase your chance to win. Giveaway ends at midnight on 5/25/2014. Good luck! Hawaiian Falls Waterpark is a Christian-based company and they aren't afraid to show it. Each time a new HF is close to opening, there is a Prayer Walk where the community is invited to come and pray over the new location. 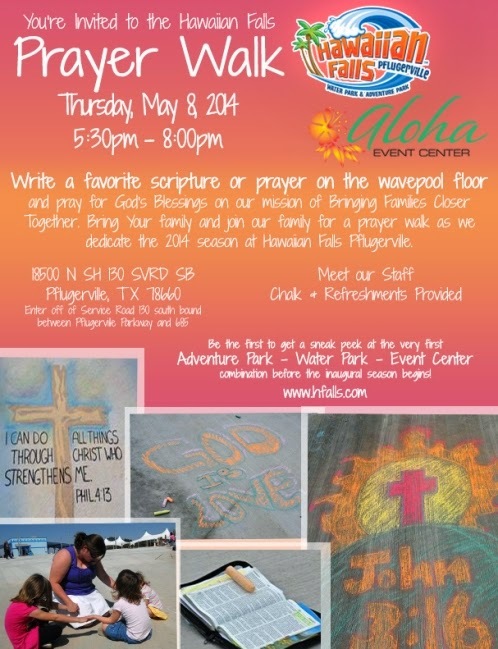 Chalk is handed out and community members are encouraged to write a blessing on the concrete pool floors and walls. On May 8, 2014, the Pflugerville, Texas, location held its Prayer Walk, even while under ominous cloudy skies and a severe weather warning. As we pulled up, I was pleasantly surprised to see the hundreds of Pflugerville-area residents who turned out to participate. The waterpark is scheduled to open this spring and though only the bare bones of the slides and a mess of wood framing currently exist, it was obvious that God was present among His people. As I walked around taking photos of some of the hundreds of chalk blessings, I discovered that it was a challenge to photograph through tears of spiritual happiness. I was most moved by the children who were writing Bible verses that were on their hearts. I spoke briefly with the HF owner and several of the HF representatives, and I was touched by their expression of faith through this family-oriented company. I was told that many baptisms are held in Hawaiian Falls rivers across Texas. My husband Johnny and my son Ryan attended with me, writing their own blessings on the pool floor and we prayed together for the many lives that would be blessed there. I thank God for holding off the rain for this wonderful experience. As we arrived back home, just northeast of the construction site, the heavy clouds in the skies let loose and a torrent of rain poured down for at least an hour. I hope that my photos below will bless you! There is no doubt that Moms are the heart of the family; they do so much for their loved ones, often volunteering to serve as the household taxi driver. 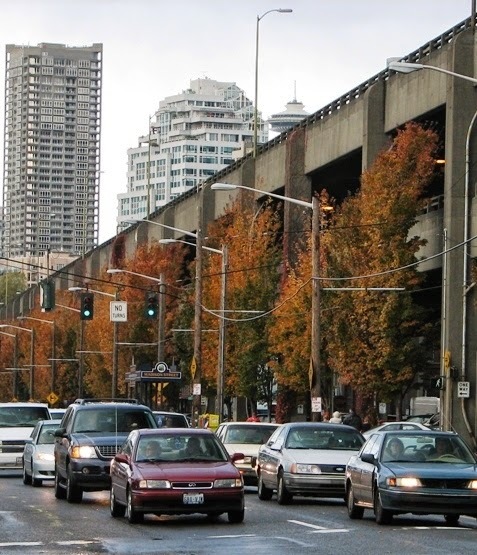 Edmunds.com, the online car shopping site, decided to poll more than 1,000 Moms to find out their driving habits and the role their car plays in their everyday life. The poll also revealed that 66% of Moms consider themselves to be the better driver than their spouse – take that Dads! My Wheels, My Rules: Though the kiddos may love that One Direction song, 71% of Moms stated that they are in control of the music while in the car (versus their kids, 18%). The "Other" Kid: When asked if they'd choose to pamper themselves or their car, 37% of Moms chose to pamper their car; they truly love their other baby. Baby Vision: When it comes to keeping their eyes on the road with a crying baby in the backseat, 39% of Moms have located a pacifier without even looking for it – keeping their eyes on the road AND giving it back to their little one. 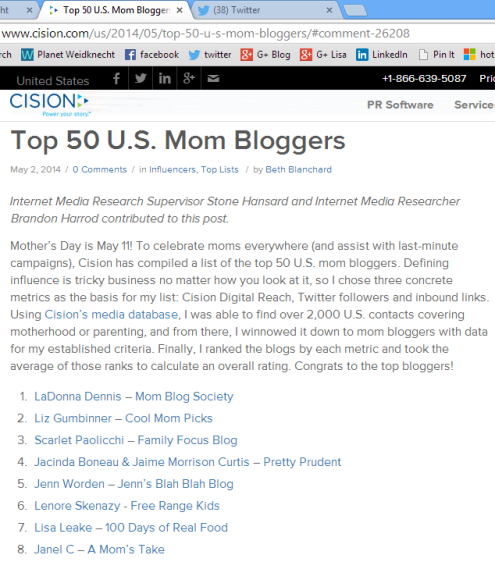 She Ain't No Soccer Mom: 70% of Moms surveyed said they outright refuse to drive "mom mobile." 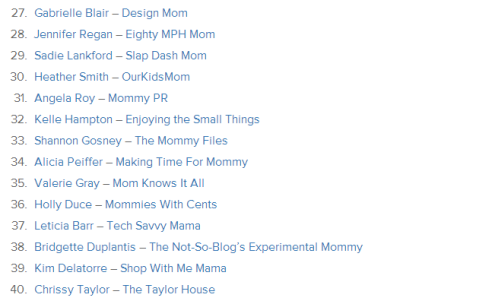 And for those moms sick of the “mom-mobile,” check out Edmunds.com to find out the newest and most head-turning family vehicles out there. Or better yet, give Edmunds.com’s unbiased car experts at Live Advice a ring to help you with any of your car shopping questions. Every dog should have their very own bed and the Big Joe Dog Bed is my dog's favorite! Designed by Comfort Research, this pet bed is made with a super-soft sherpa top and waterproof SmartMax Ballistic Fabric on the sides and bottom. It is tough, stain resistant, and easily cleaned with damp cloth. The inside is filled with Ultra-Soft UltimaX Fiber, made from 100% recycled materials, that conforms to my dog. The double-stitching and double zippers give this dog bed added strength and safety. The Big Joe 36" Large Round Pet Bed comes in six colors...Monumental Gray (which is what I chose), Blue Fire, Pink Passion, Lime, Stretch Limo Black or Zebra. Choose the one that suits your dog or your decor colors! Buddy was so eager to climb onto his new Big Joe bed that he barely let me get a photo of the bed itself. He plopped himself right onto it and snuggled right in. Comfort Research also offers three other Big Joe Pet Bed sizes: a 28" Medium Round Pet Bed, a 24" x 36" Medium Pet Bed, and a 36" x 48" Large Pet Bed. They also offer the Wuf Fuf Pet Bed line that comes in an assortment of sizes and even more fabric designs. Comfort Research also offers great products for humans of all sizes, such as loungers, chairs, beanbags, wedges, ottomans, and more. Their products are geared toward relaxation and comfort, in eye-catching styles and colors that compliment your every day life. I love that they constantly work towards environmentally-friendly manufacturing processes and use many recycled products to reduce waste. Both Buddy and I highly recommend Comfort Research and their product lines! Check out their entire line of products at www.comfortresearch.com. 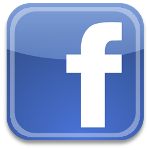 You can also follow them on Facebook, Twitter, and Pinterest, then enter below to win a Big Joe Dog Bed of your choice! Win a Big Joe Dog Bed! One winner will select a Big Joe Dog Bed, any size, any color. To enter, just fill in the Rafflecopter form below. Only the first entry is mandatory; bonus entries will increase your chance to win. Giveaway is open to ages 18+ who reside in the USA. Giveaway ends at midnight on 5/25/2014. Good luck! Preheat oven to 350 degrees F. Place chicken legs in a zip-closure baggie and add 2 tbsp extra virgin olive oil. Zip bag closed and gently toss until chicken legs are coated with oil. 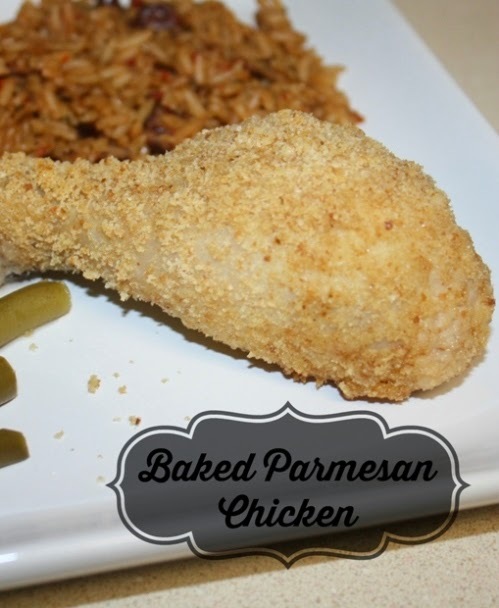 Pour 1 cup Parmesan bread crumbs into a wide bowl, then dip each individual chicken leg into the bread crumbs, turning over on all sides until bread crumbs cover the chicken leg. Place chicken legs into baking dish and cover with aluminum foil. Bake at 350 degrees F for 30 minutes. Remove aluminum foil and bake chicken legs for another 30 minutes. Note: This is the moistest chicken I've EVER made! 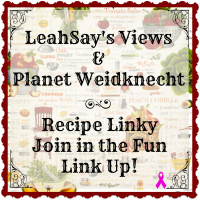 Welcome to the LeahSay’s Views and Planet Weidknecht Recipe Link Up! Recipes shared need not be 5-star rated restaurant quality to impress. Link up your family’s favorites and maybe find a new family favorite among the recipes listed below. I’m always on the lookout for something new to prepare for my family. #I received a gift card in exchange for my honest review. IHOP has been one of our favorite family restaurants for many years. We look for them when we travel because they are consistently good. Their pancakes are always amazing, but I really love to try all the new items they create too. When I heard they had recently introduced Cinnamon Swirl Brioche French Toast, my stomach immediately started to rumble. My husband and I stopped at the IHOP in Round Rock, Texas, located at 2002 South IH-35 Frontage Road for breakfast. Sunday mornings are always quite busy at IHOP restaurants, but it's worth the wait! IHOP also features a Bananas Foster Brioche French Toast and a Berry Berry Brioche French Toast, but I already knew I wanted the Cinnamon Swirl Brioche French Toast, swirled with a layer of cinnamon roll filling and topped with cream cheese icing. Once we were seated, our waitress Dora came over to take our orders. We always start with a huge glass of the IHOP orange juice because it's fabulous; not to sweet and not too sour, with just the right amount of pulp in it. Side note here...Dora is a fantastic waitress, so ask for her if you visit the Round Rock IHOP. Look at this incredible Cinnamon Swirl Brioche French Toast! It's SO good and it's like having dessert for breakfast. My french toast was perfect and the topping of cinnamon roll filling is delicious. The icing on top and the dollop of whipped cream makes this a true delight. If I wasn't in a restaurant, I probably would have licked my plate to get every last drop. The Cinnamon Swirl Brioche French Toast also comes with two eggs (cooked any style), four slices of bacon (or sausage) and hash browns. IHOP definitely knows how to please their customers and I made sure to speak to the manager to let him know we had a wonderful dining experience. Find a location near you and go try the Cinnamon Swirl Brioche French Toast! What's your jewelry addiction? Pearls or diamonds? Fashion jewelry or fine jewelry? Bracelets or rings? My jewelry addiction is dangly earrings. Since my ears are double-pierced, I always wear dangly earrings in the first earring hole and my only pair of diamond stud earrings (a gift from my husband) in the second earring hole. 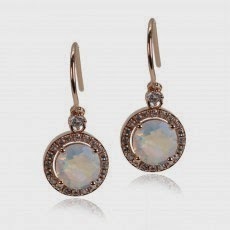 Fragments Jewelry has hundreds of jewelry choices no matter what you crave! 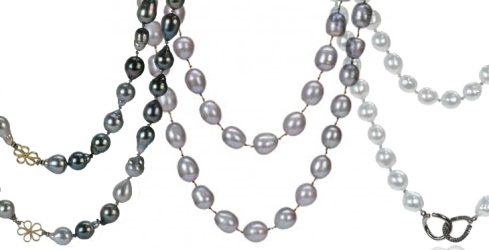 If you love necklaces, Fragments features everything from delicate pearls to bold gemstones, plus a huge variety of chains with and without decorative pendants. You can find unique fine jewelry in silver, gold, white gold, rose gold, and even mixed metals. 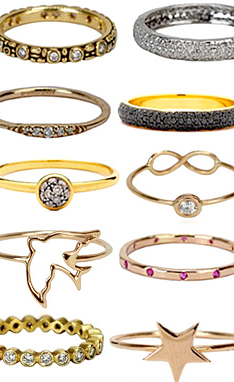 Don't miss their amazing collection of rings and bracelets. There is even a bridal section! 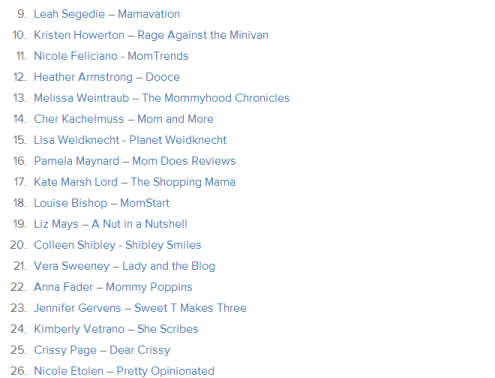 The Fragments website is super-easy to navigate and you can even search by your favorite designer. Based in New York City, Fragments has their pulse on the latest trends. Freshening up your wardrobe for spring and summer should always include treating yourself to new jewelry. It's a wonderful way to give your old clothes a brand new look, and of course you'll need new bracelets, earrings, and necklaces to match all the new clothes you bought. 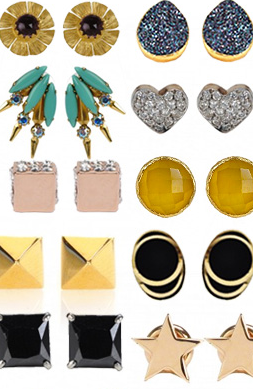 Fragments Jewelry has all the glamour you need and even offers free standard shipping! 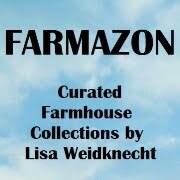 Check out the entire line at www.fragments.com to discover the jewelry that helps you make your fashion statement and feed your jewelry addiction. 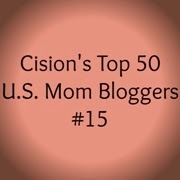 Be sure to connect with them on Facebook, Twitter and Pinterest so you're first to hear about special promotions and new trends. 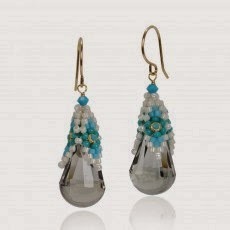 You can also check out Jewel Talk with Janet and sign up for their e-newsletter! Most long-time homeowners know the benefits of having regular maintenance on an air conditioning system. They know that an air conditioner that receives regular maintenance is able to operate at its most efficient. Furthermore, when an air conditioner operates with efficiency, it can keep a household's energy bills under control. Alternatively, an air conditioner that does not receive regular maintenance must work harder than necessary to achieve its basic purpose of cooling a household. Consider some of the basic maintenance services that help an air conditioner run at its most efficient. An air conditioner has a filter inside it that captures dirt, dust, pet hair, pollen and other airborne debris. If there wasn't an air filter in an air conditioning system, this debris would circulate through the air ducts and out into the home's atmosphere. This could cause respiratory issues for the members of a household. Changing the filter inside an air conditioner is a basic maintenance task that needs to be done (approximately) every 30 to 60 days. A technician who deals with air conditioners will be able to recommend a schedule for air filter changes. Pets and the size of the home are two factors in determining how often to change a filter. An air conditioner has a lot of wiring and connections inside it that sometimes become loose over a period of time. 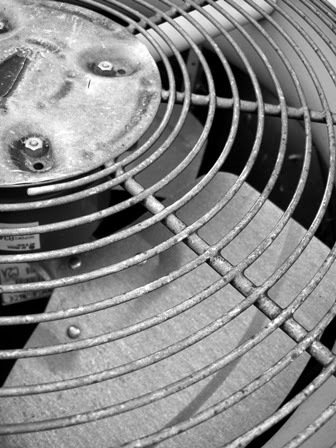 A loose wire or connection can cause an air conditioner to malfunction. A technician who is performing a regular maintenance check can sometimes find these loose connections and fix them before a malfunction occurs. Also, a technician can fix leaks that may be occurring within the system. In short, with regular maintenance, a homeowner can catch a small issue before it turns into a costly repair. Homeowners who are considering regular maintenance services for their cooling system may want to contact a resource like air conditioning Austin for assistance. Finally, over the hot weather months, the interior parts of an air conditioner can become dirty or dusty. This dirt can work its way into connections and cause problems. Also, dust can build up on a fan within an air conditioning system causing it to struggle. A professional technician who is performing maintenance services can clean dust and dirt off various parts of the air conditioner allowing the system to operate as it should. I am extremely excited to be invited upon the Royal Caribbean Navigator of the Seas! I am even more excited that I get to take my husband along with me on this cruise vacation. 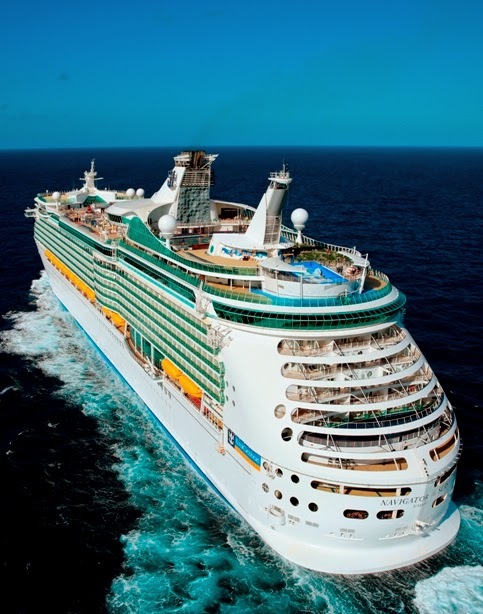 The Navigator of the Seas is the newest and most advanced ship to homeport year-round in Galveston, Texas. New ship features include the cruise line’s signature FlowRider surf simulator and expanded dining offerings, including Sabor, Royal Caribbean’s debut Modern Mexican concept, as well as Chop’s Grille steakhouse, Izumi Asian Cuisine, Giovanni’s Table Italian Trattoria and more. This 138,000-ton cruise ship offers a rock-climbing wall, a basketball court, an ice-skating rink, an in-line skating track, a spa, four swimming pools including an adult-only retreat, six whirlpools, a fitness center, a theater, several bars and night clubs, on-board shopping, a library, a casino, and much more! Navigator of the Seas also features the cruise industry’s first-ever virtual balcony staterooms with expansive, real-time views of the ocean and destinations, as well as floor-to-ceiling, panoramic ocean view staterooms. Want to follow along on my vacation? Sign up HERE to get my e-newsletter and follow me on Facebook and Twitter! Outer Spice is a brand new spice company that has created four all natural seasoning blends. This Austin-based family-owned business hand selects the highest quality ingredients from around the world to create delicious No Salt and Low Salt seasonings. Outer Spice artisanal seasonings are gluten-free, rich in anti-oxidants, and contain no MSG. Their spices are finely ground and packaged the same day to ensure peak freshness. I love how versatile these spice blends are, because I can use them in a marinade, use them as a rub, or just sprinkle them on top of already prepared food. Outer Spice makes meal preparation faster and easier for me, plus these seasonings allow me to make a healthy, gourmet meal at home. "Outer Spice makes everything immediately taste better, while saving on costly ingredients, time, and frustration in the kitchen. Using Outer Spice makes you look like a professional chef with minimal effort. It will boost your confidence in the kitchen and make every plate taste delicious,” said Ben Stevens, founder of Outer Spice. "Not only does this blend of herbs and spices make every dish taste better it is also an extremely healthy way to make food without compromising health." 8 hours before dinner, add 3-4 pork cuts to a zip-closure bag. Add 1 tablespoon extra virgin olive oil and 1 tablespoon any variety of Outer Spice (I chose the spicy with no salt). Close bag securely and gently toss bag from hand to hand to coat the pork cuts with oil and spice. Marinate 7.5 hours in the bag in your fridge. To cook, place a large skillet on stovetop at high heat, add 3 tbsp extra virgin olive oil to the pan, then add spiced pork cuts and cover with a lid. Since these were fairly thin pork cuts, they were pan-fried for about 3 minutes on each side, so if you choose thicker cuts, increase the cooking time. The Outer Spice Pork was moist and incredibly delicious! Notes: Adding Outer Spice to my pork cuts eliminated my need for adding any other spices and marinating them allowed the spices to seep into the meat. I also spiced up my broccoli cuts just before eating them by adding Outer Spice Original with Himalayan Sea Salt as a table seasoning. Visit www.outerspiceit.com for more information, recipes, and to order Outer Spice. You can also find Outer Spice at select Whole Food Markets. Follow them on Facebook and Twitter, and enter below to win your choice of any two Outer Spice flavors! Win your choice of any two Outer Spice Seasonings! To enter, just fill in the Rafflecopter form below. You must be at least 18 years old and reside in the USA. Giveaway ends on 5/25/2014. Good luck! This week, many of my readers have contacted me to inform me they are no longer receiving emails. After a quick analysis, I discovered that the email subscriber service I was using has dumped nearly all of my daily e-newsletter readers. This is happening to every blogger using Feedburner's service. 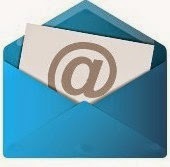 I have started a new email subscription service at Feedblitz that is more reliable. Please sign up by clicking on the envelope image below and entering your email address, so you can continue to receive the Planet Weidknecht daily e-newsletter. 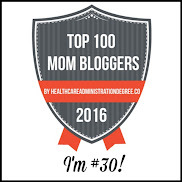 There are many wonderful things coming up that you won't want to miss! 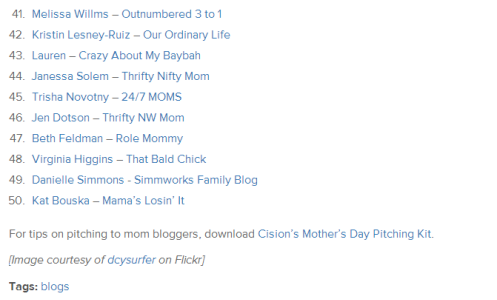 If you prefer an RSS subscription, you can add my posts by clicking on the RSS image below. 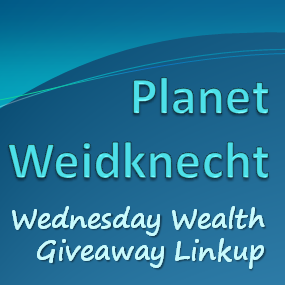 Thank you for following Planet Weidknecht. I appreciate every one of you! iLuv has just released Selfy, the newest and most exciting new technology for creating amazing photos and videos with your mobile devices! Although it may look like just another phone case, Selfy is also Bluetooth-enabled with a built-in, removable, wireless camera shutter. If you've ever taken a "selfie" you know well the challenge of capturing a good one. Selfy makes it easier than ever before! Selfy gives you so much more control over your photography. This new Selfy "ecosystem" gives you the freedom to set your phone (or other mobile device) anywhere to take much better photos, because the built-in shutter can be removed from the back of the case and you can step back to take your photos. No more funky "selfie" shots featuring outstretched arms or over-sized noses, and gone are the days of awkward "selfies" taken backwards in your bathroom mirror! The photo quality is fantastic! As a blogger, I see this as the ultimate tool for being able to take my OWN fashion shots or product-in-use photos and videos, rather than waiting for someone else to shoot them for me. I can set it up anywhere and use the handy shutter button. Plus my photos aren't blurry because the phone camera doesn't have to compensate for my constant moving around. The shutter button slides back into the back of the case snugly when not in use. Since it's built into the mobile device case, I have it with me all the time. Check out this quick video of the iLuv Selfy in use! iLuv offers their fabulous new Selfy for iPhone 5s, Galaxy S5, iPad Air, and iPad Mini. Plus they offer some great accessories like a mini tripod, a car mount, a bar mount, a helmet mount, and a vented helmet mount. Click HERE to find out more. Be one of the first ones to own Selfy!